It never ceases to amaze me just how much we can accomplish with the Internets. Shareef Ali's blog is fascinating reading on my end -- it gives perspective on just how much electronic pavement musicians have to pound these days. But somehow, a folk-punk singer-songwriter from San Francisco found out about a part-time music hobbyist in New York City, fired off an e-mail, and now here we are. But we're not here for Ali's blog (though it's recommended reading.) We're here for his newest solo album, A Place to Remember the Dead. It's hard for me to get a grasp on the album because it does a lot of different things. It's more country than folk, but Ali's vocal style is firmly rooted in punk. His lyrics are sometimes earnest, sometimes funny, sometimes downright poetic...and he'll switch it up in the middle of a stanza. It's all over the place, but it's not unfocused. Rather, Ali embraces life in all its strange, conflicting moments: pain and triumph, heartbreak and renewal, anger and resignation. It sounds like a cliche, of course -- isn't this what most music is about? 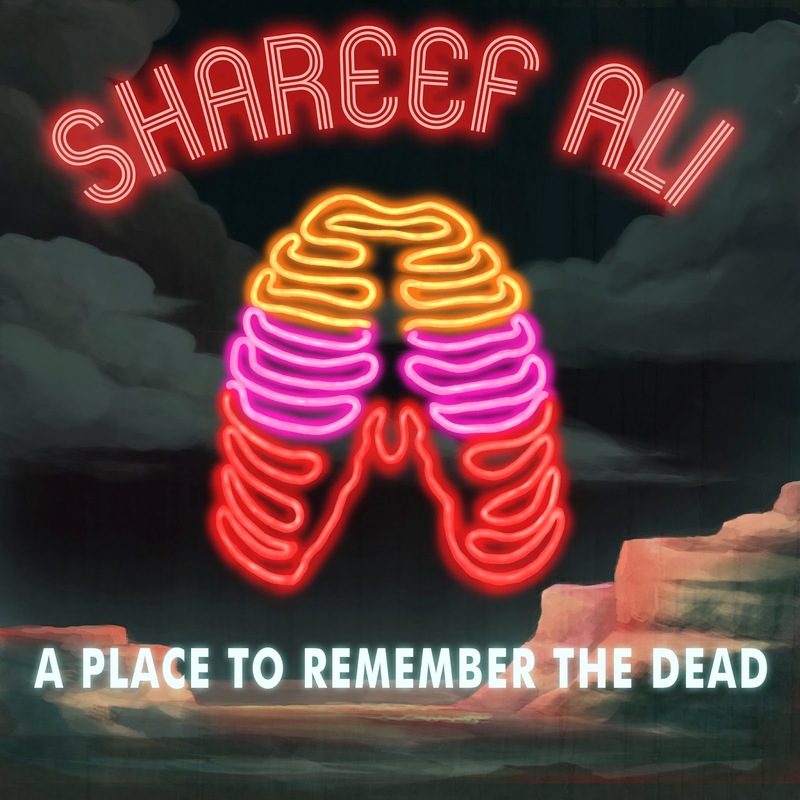 But let's consider the mind who slaps a lurid, glowing ribcage on top of a desert backdrop: this album is simple on the surface but is begging for multiple readings -- because listening to this album is just too easy, and Ali has put too much work in this project for you to ignore it. Side note: he's got a little one on the way, so if you're thinking about buying the album, you should go ahead and buy it. Bottom of the Hill in San Francisco, 1233 17th Street.